Allport - Global freight updates existing WAN - Exponential-e Ltd. Global freight, supply chain update its existing WAN infrastructure to increase resilience and responsiveness across its Network. A 9 Site WAN Migration for Logistics Experts. Founded in 1963 Allport Cargo Services operate in 30 countries, with representation in another 100. Their Network extends to 450 offices, with more than 21,000 colleagues and a worldwide turnover exceeding £600 million. Headquartered in Cowley, Middlesex, their 800 UK based colleagues operate out of 20 hi-tech logistics hubs, freight centres and packaging factories: picking, packing and transporting cargo globally every day for customers across a range of sectors. 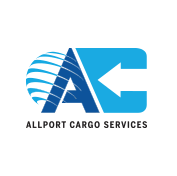 Allport Cargo Services, a global freight, supply chain and added value logistics company, was looking to update its existing WAN infrastructure to increase resilience and responsiveness across its Network. Allport wished to transition to a responsive service provider who could proactively support the migration and management of an upgraded Network. This move would help Allport improve the development of its critical business systems ultimately enabling the business to increase efficiency and drive productivity. Allport was looking for a flexible and scalable WAN infrastructure to connect multiple sites across the UK. Key to Allport’s business proposition is the availability and speed of data transfer across its Network. The Network underpins every process within the business and therefore the provision of a resilient and scalable Network is essential in day-to-day operations. Allport sought a service provider that could offer not only a more scalable Network but also a management, analysis and monitoring platform. These value added services would allow Allport’s IT managers to focus on internal processes and demands. To increase the flexibility and scalability of its Network, Exponential-e worked with channel partner Ideal Networks to migrate Allport’s existing Network to its VPLS Network. This solution emulates a Layer 2 VLAN allowing the nine geographically diverse sites to connect as if they were on the same LAN. The flatter Network structure is easier for Allport to manage, and the solution has built-in resilience by incorporating dual, carrier agnostic routers at each site. As a result, Allport is able to ensure optimum Network performance at all times. As well as receiving 24 / 7 support and technical maintenance from Ideal Networks and Exponential-e, Allport has also been able to increase the visibility of its Network via a tailored web portal, allowing them to better plan Network resources according to business demands. Allport has ensured its business continuity by migrating to a Network that will be able to accommodate future business expansion. By increasing its available bandwidth, Allport has seen immediate improvement and has been able to begin work upgrading its critical business processes, a task which had previously been on hold due to the previous limited bandwidth. These upgrades allow staff to respond to customers more quickly and ultimately have improved customer satisfaction. Through working with Ideal Networks and Exponential-e, Allport has benefitted from a responsive team of engineers who can offer true 24 / 7 technical support and management across all its sites. Exponential-e is able to provide proactive monitoring and analysis of Network activity to enable Allport to respond more quickly to Network issues. WAN infrastructure across 9 sites. Resilient and secure layer 2 VPLS Network. 24 / 7 technical support and management of connectivity between all sites to meet stringent SLAs. Proactive and fast monitoring of Network issues. "As well as a reliable and secure infrastructure, we required proactive support in ensuring our Network provided the business benefits we were seeking. Our day to day business requires a Network that will scale with the business and effectively support our business processes."